You can make a bad decision with your head and a good decision with your heart at same time. 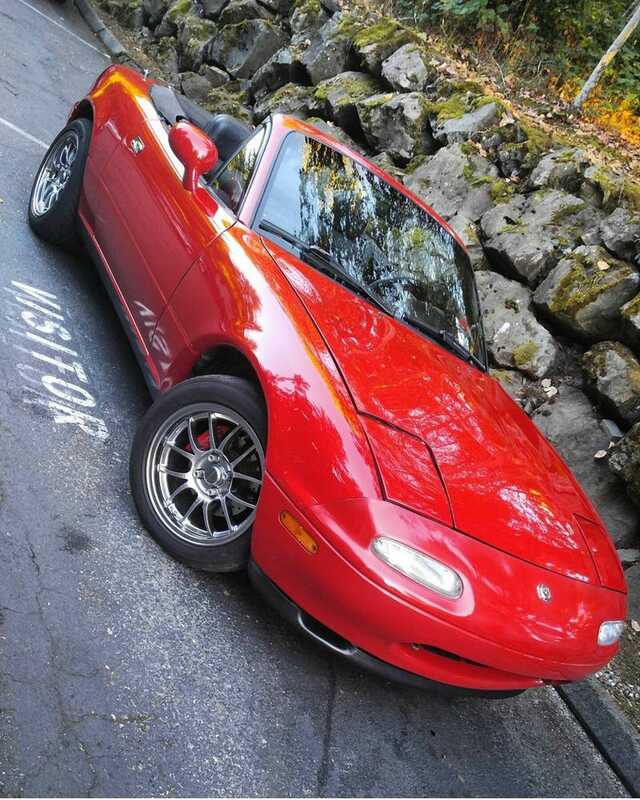 I bought this very Miata off Craigslist with a salvage title, broken radiator, broken speedometer and odometer, shot suspension, front end damage, no brakes, a cracked windshield and a leaky soft top. Oh... Did I mention it had 300,000 miles too? 1.5 years and 15,000 miles later, I’ve turned this car around, replacing every single component with the absolute highest quality parts I could find. It’s not a garage queen, it’s my current interpretation of the ultimate daily. Xida coilovers (squee!!) and a Fujitsubo exhaust (so jdm) are going on soon. Hopefully I can find a nice pair of s2k seats in the near future as well. We’ll see. Here’s to many more miles, and many more smiles.